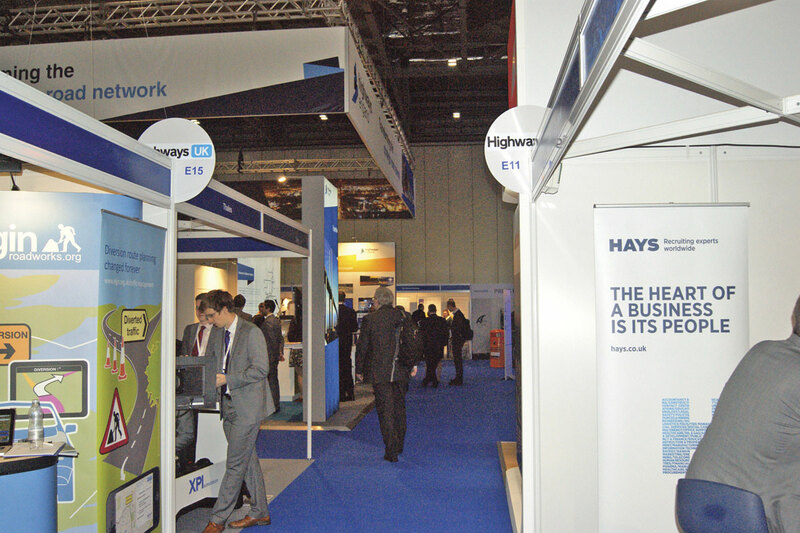 London’s ExCel Centre hosted Highways UK recently, an event bringing together those involved with planning, developing, maintaining and managing the country’s road network. 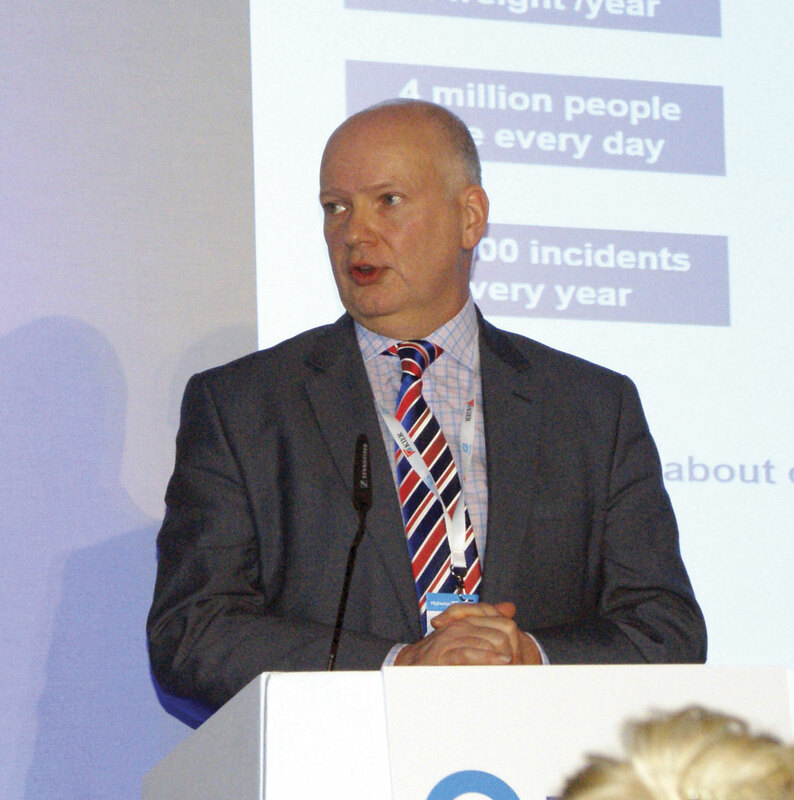 Combining a series of conferences and an exhibition, the event gave Chris Peat an insight into some of the issues surrounding the highways and byways the bus and coach sector relies on. 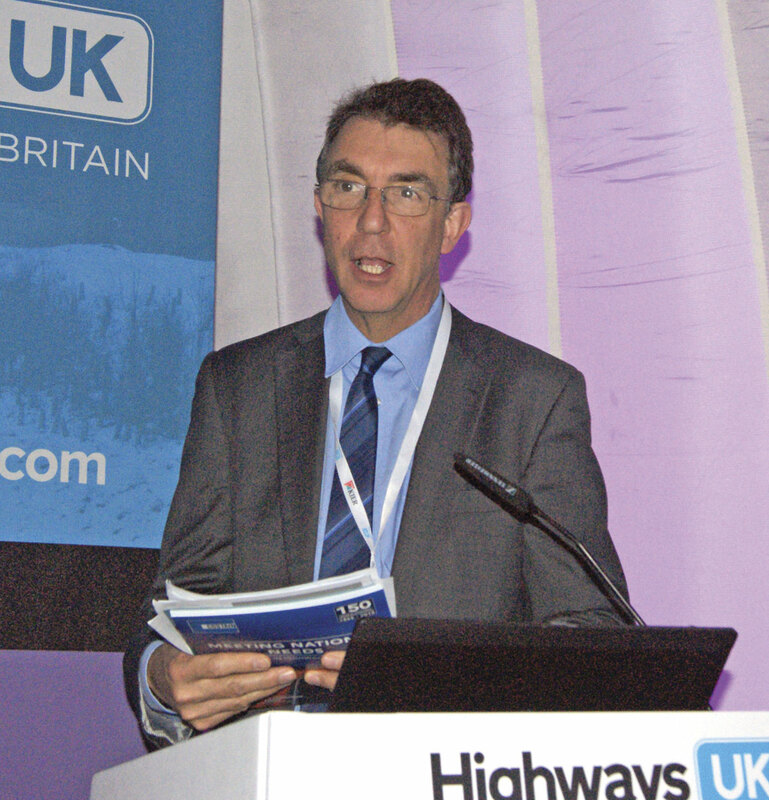 Attendees at Highways UK were addressed by Andrew Jones MP, the Department’s Parliamentary Under Secretary of State. He could not make it personally to the event, so prepared a video that was played at the conference. He started by claiming the country’s roads had suffered from a ‘legacy of long term under-investment’ and that demand for road space is rising, requiring an investment for the future. This was one of the reasons why the Government set up Highways England, a Government owned company established to take care of England’s major road network. It was also one of the reasons behind the £15bn it made available for improving the Strategic Road Network (SRN). Andrew went on to say the Government is now considering the second round of its investment strategy on roads, which extends beyond 2020. This involves identifying investment priorities. The UK is a ‘small island’, he said, so connectivity should be a strength. 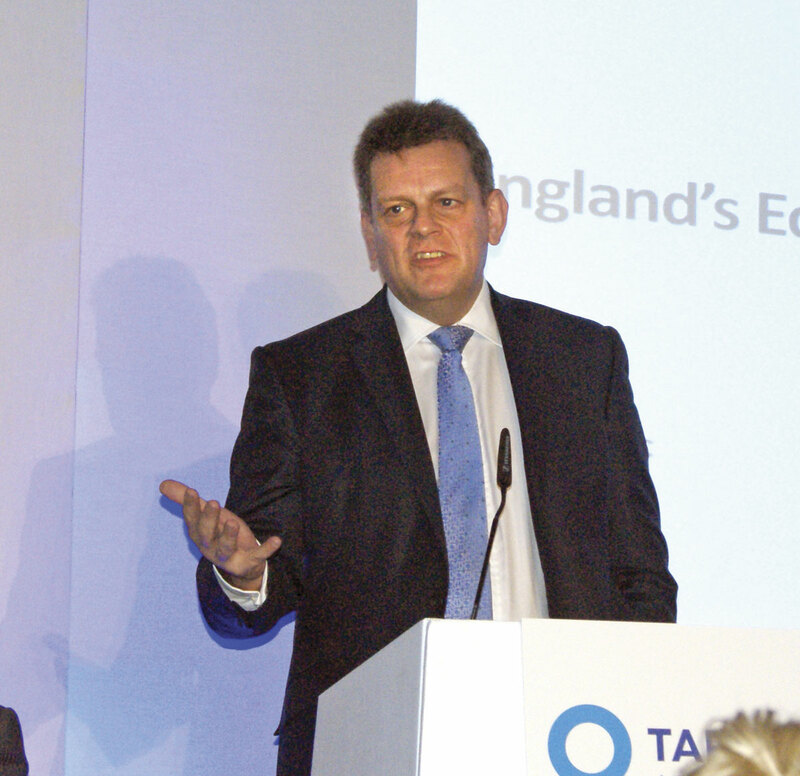 He vowed the Government would focus on delivering its goals and drive up efficiencies whilst driving down costs. Devolution deals represented more and better interaction between local authorities and the industry. He said the Government is aiming to put the UK at the forefront of developing new vehicle technology too. Something he does not want to happen with Highways England is for it to only achieve success in the SRN. He does not want good major roads, but local roads left lacking. The next road investment package for 2020 was also mentioned. Projects to think about in the future include a tunnel beneath the Pennines, an Oxford to Cambridge expressway and works to improve part of the M25. Concerns for the future include the possible emergence of driverless vehicles, which raises a few questions, particularly how you manage a network of these vehicles. He said one of the benefits of a ‘larger pipeline’ in terms of funding and planning is that it can make road works half the length and take half the time yet at a lower cost. There was a panel session which looked at the ways investment in roads helps the country’s economy. 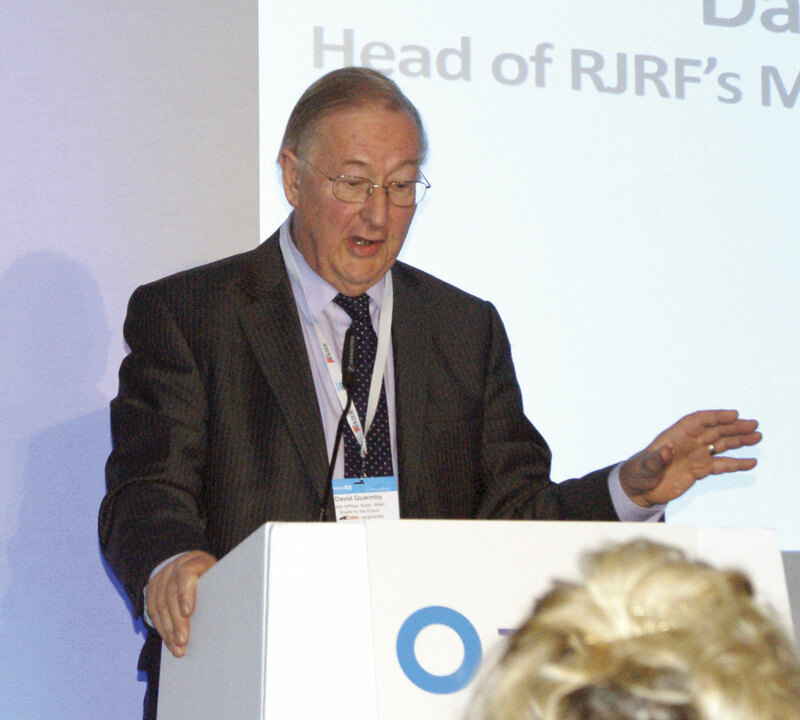 The first to present here was David Quarmby, former Chair of the RAC Foundation and head of the Rees Jefferys Road Fund’s (RJRF’s) Major Roads for the Future study, who said that even though investment in the roads may well overtake investment in Network Rail by 2020, it does not automatically lead to economic growth. He asked whether the investment has been made in the right way to deliver this. ‘It has made a good start, but it is not all in place yet,’ he said. One thing he believes will help with this are the devolution deals being brought forward currently, which he claims will make a difference, streamlining decision making. The biggest challenge, he believes, is deciding which are the important roads to invest in. Is simply looking at the SRN enough? 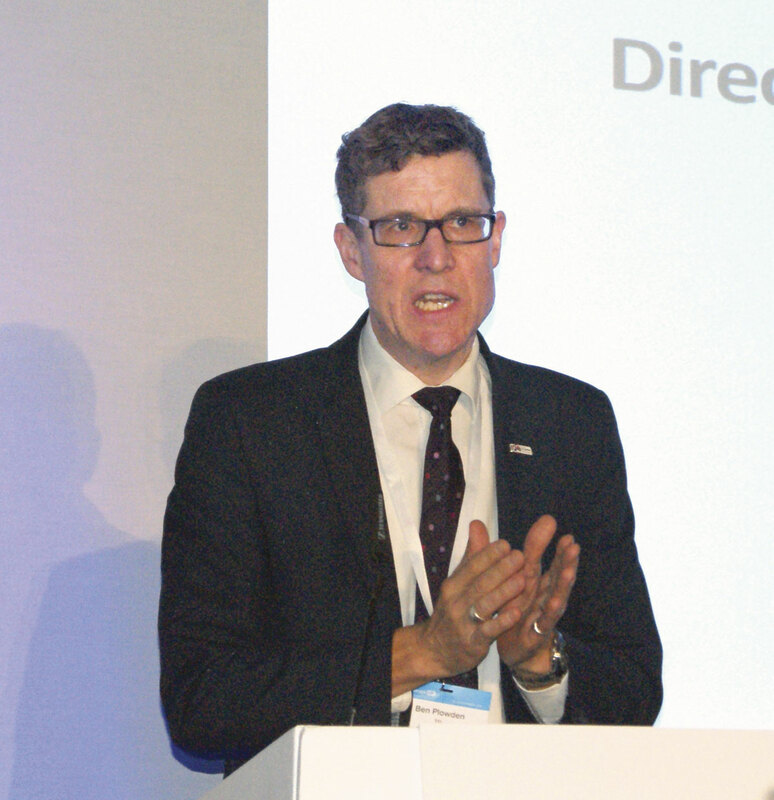 He would like Highways England to look at what he calls the Major Road Network (MRN), which is 80% larger in scope than the SRN, taking many more roads in. There are segments of motorways that get congested at a few junctions, which he said may involve overhauling parts of the local road network to alleviate. He says there is no substitute for local knowledge. He believes there needs to be a similar funding regime for the MRN to that for the SRN. Divisional Director for Strategy and Planning, Highways England, Martin Fellows, started by saying the SRN is critical to businesses. There is pressure on the network with a multitude of needs and expectations, with the way they plan, invest and manage the network changing. 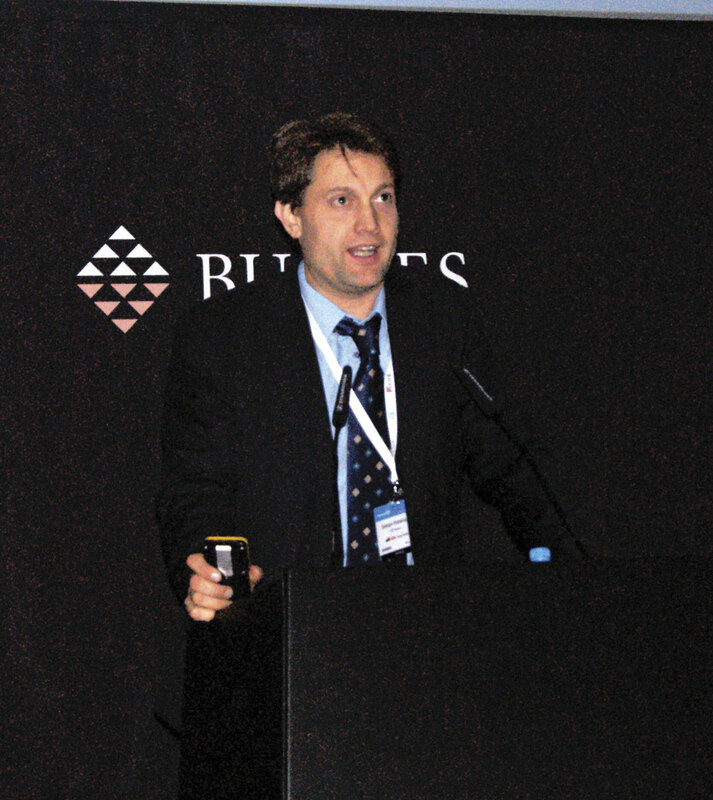 The Road Investment Strategy has meant many changes have been implemented. 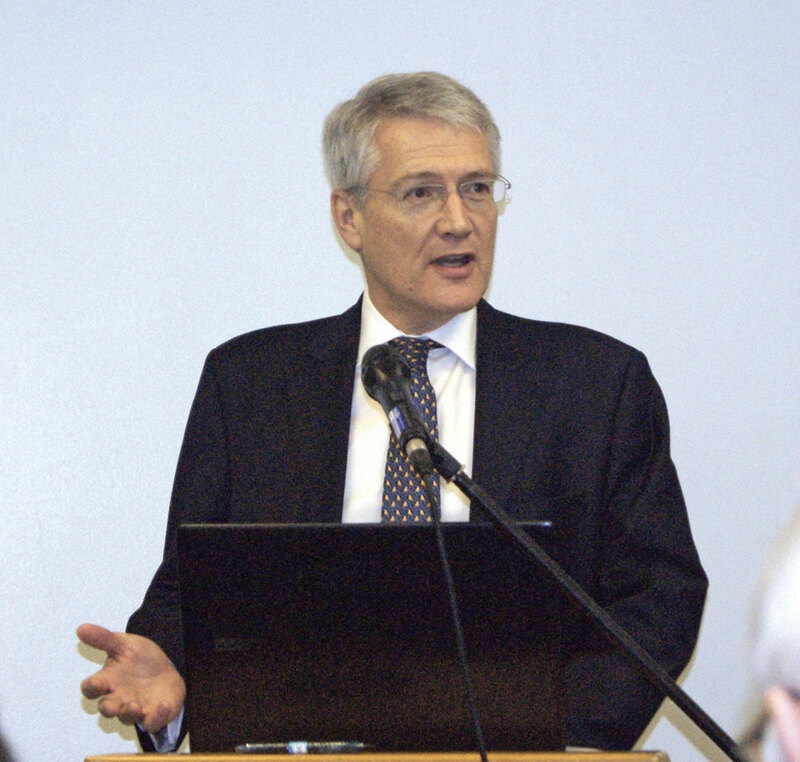 With local authority funding pressures, Martin believes road investment schemes to support the economy must be approached from a holistic angle. It is not just a case of adding to road capacity. There are a lot of plans and ideas, but the question of how his organisation can turn such dialogue into real action is yet to be fully answered. 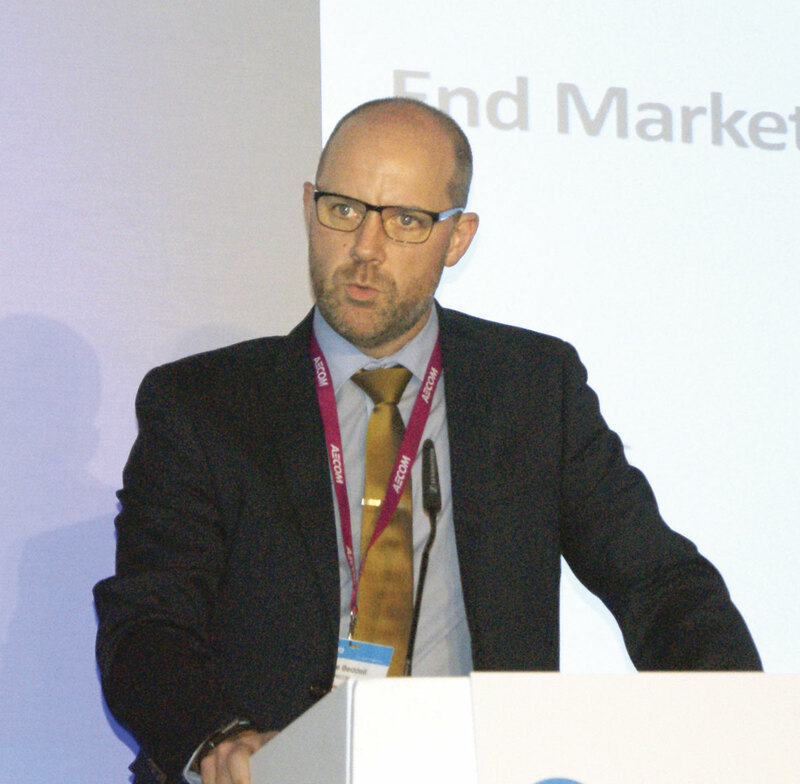 Ben Plowden, Director of Surface Strategy and Planning at TfL, told the audience what his organisation does to ensure roads help stimulate the economy. He said London’s road network is vital for not just the economic, but the social life of the city. When it comes to planning the roads, he said many believe it to be a technical task, but Ben said there are ‘wicked political issues’ that need to be addressed too. ‘It is not subject to binary answers,’ he claimed, there are a number of differing ideas as to how the roads are used he needs to take into account. TfL works with all 33 London Boroughs to determine what the city’s roads are used for. There are two broad categories they fall under: for economic benefits and for living and social purposes. This guides how funding on them is made. Next to speak was David Beddell, Market Sector Leader, Highways Europe, AECOM, who said the investment package is ‘very English centric’. He asked, ‘Should the focus not be a little wider?’ Users of the road network do not recognise or care about the boundaries the authorities in charge of roads have to work in, which raises the question of how should these authorities interact? Do networking responsibilities need to change? Another big challenge he mentioned was ‘big data’, the vast amount of information being gathered by those responsible for roads. How should it be best used? Another significant issue being debated at the moment is on road pricing; charging motorists to use the road. Two presentations were made on this, with the first speaker being John Walker, Visiting Senior Research Fellow of the Transportation Research Group, Southampton UK, who has carried out considerable study into the area. John started by saying road pricing is not new. Some of the first recorded evidence of it was the Susa-Babylon toll road in the 7th Century BC and in more modern times it has been seen as playing a major part in the Industrial Revolution. Today, successful schemes have been carried out in Singapore, London and Stockholm, whilst schemes involving truck charging have been implemented. John said the benefits of road pricing include the user paying the principle. He likes to see it as not another tax but more of a traffic management tool. From an economical perspective, it reduces costs through cutting congestion. Lessening traffic has environmental advantages too, John notes, which has the knock-on effect of improving public health. Road pricing schemes must be cost effective though, he said. He looked at the case of the one in Stockholm in 2006, which saw traffic fall 28% when it was implemented. Prior to the trial, 62% of those poled were opposed to it, but as the trial went on, most changed their views and voted to reinstate it. When the trial ended, the traffic returned. One thing to note though was that extra buses were put into service in 2005, yet this did not affect the amount of cars on the road. It was only when there was an extra cost that drivers left their cars at home. Inspired by Stockholm’s successful project, Gothenburg trialled one too. However, this did not prove to be as popular, with 57% opposed to it. John said ‘the jury is still out’ on this project. Closer to home, he mentioned a proposed road pricing scheme in Edinburgh. However, the public voted against this, with many showing confusion over how the system worked. This particular project was deemed too complex. A similar idea was opposed in Manchester too. Although not having much support in the UK, road pricing is starting to take off in the US. Oregon ran a successful 2012 pilot that saw participants paying per mile they drove. The trial was followed closely by a number of fellow States, with California proposing a similar project. To conclude, John expressed his support of road pricing. He said it is ‘good for the public if it is equitable’. He suggests authorities implement local projects rather than a ‘big bang’ national scheme. The next speaker was Stephen Joseph, CEO of Campaign for Better Transport, the charitable trust in support of sustainable transport. Going over some of the benefits John mentioned earlier, he added that road pricing may result in less car dependence. One of the barriers of road pricing he noted is that it is politically difficult to implement. Describing it as a ‘huge step’, he said there are privacy of data issues and a level of distrust in whether the Government will spend the money on what they originally set out to. What he described as boundary issues exist as well, so if on a motorway, does the charging effect the part of the journey off the motorway or on slip roads? However, there are a few places where progress has already been made. He mentioned the introduction of work place parking levies, the existence of ‘pay as you drive’ insurance and devolution as all helping the country ease into road pricing. In particular, he extolled the benefits of Nottingham’s ‘successful’ workplace parking scheme, which saw workplaces in the city with ten or more parking bays levied a charge. One interesting idea he had was for smartcards (already being rolled out across multi-modal transport in city regions) to be incorporated in road charging schemes too. The last speaker I took in was Sampo Hietanen, Chief Executive of ITS Finland, a group of bodies involved in researching, developing and designing intelligent transportation systems. He was promoting Mobility as a Service (MaaS), a concept on the verge of being rolled out in his home country. He said there is a lot happening in the transport sector at the moment, with driverless cars being researched and the differentiation between what a bus is and what a taxi is becoming somewhat blurred. No longer are youngsters ‘craving’ a driving licence. He believes the population will end up wanting to fulfil all their transport needs through a one-stop-shop, such as a single app that will take care of all their needs. The way this would work would be through a service level agreement, similar to a mobile phone contract. The user would pay monthly for a travel package, covering a preset amount of transport time before they have to pay extra, similar to phone minutes. It can include public transport, taxis and even lease cars. If MaaS is rolled out, it will see transport systems become a consumer business. 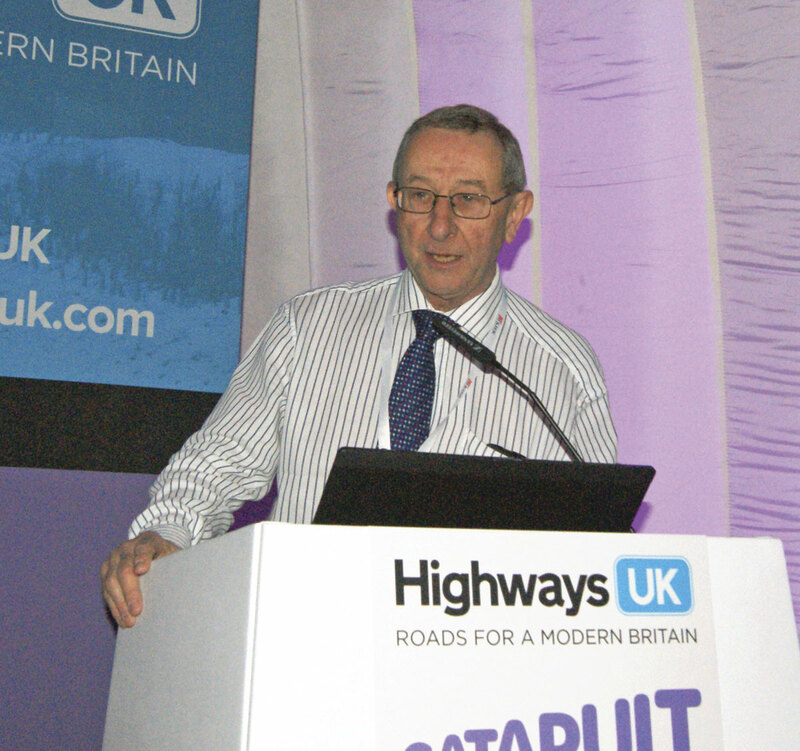 There is a chance Highways England will sell capacity to operators, who will then sell it to the end user. The best way for it to be rolled out is not for a single company to take over the transport network, nor is it for just public transport companies to take it over. Rather, a ‘roaming ecosystem’ is what Sampo says would be best. Again, similar to telecom, he believes this would provide wider network coverage. In Finland, legislation for MaaS is set to be in place by June 2016 and there is enough funding available to start the project. As well as a number of conferences over the two day event, there was also an exhibition. Some of the exhibitors were relevant to the bus and coach market, such as Siemens, who were promoting Stratos, its hosted traffic management system. The company had recently installed one of its induction chargers for electric buses at the Stratford bus depot in London. Clearview was there too, which as well as a variety of traffic equipment, also produces a sensor used on modern bus bay doors at stations. This device senses when a vehicle approaches and opens the doors ready for passengers to alight and board. Independent transport watchdog, Transport Focus, was present to promote its involvement in the interests of improving the nation’s roads and enhancing the passenger experience of public transport.